Room 101 is a double room with a marriage bed. It faces the south and the city square. Room 102 is a double room with a marriage bed. It faces the south and the city square. It is possible to add a child bed or a cot to this room. 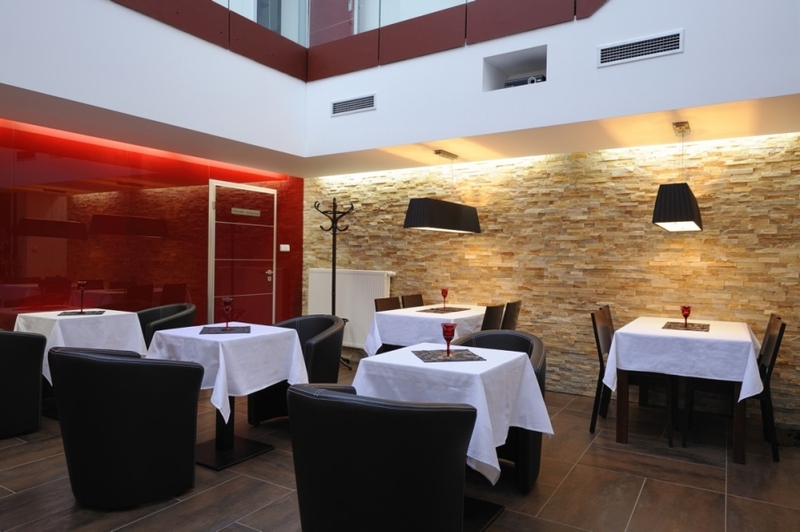 Room 103 is single and has a large terrace facing the north, towards the River Eger. 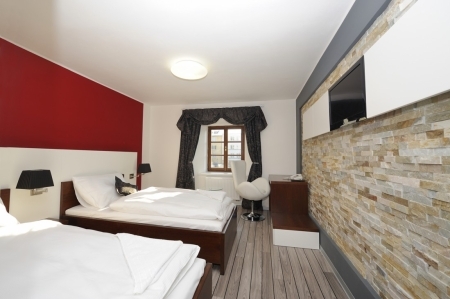 Room 104 is single and has a large terrace facing the north, towards the River Eger. Room 201 is a double room with a marriage bed. It faces the south and the city square. Room 202 is a double room with twin beds. It faces the south and the city square. 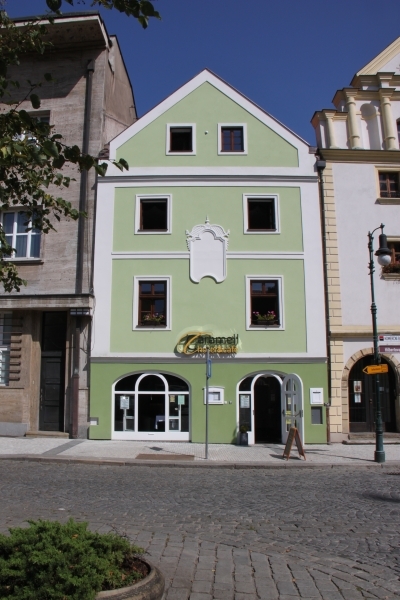 Room 203 is single and has a large terrace facing the north, towards the River Eger. Room 301 is a double room with a marriage bed. It faces the south and the city square. Instead of a shower box the bathroom provides a bath. Room 302 is a double room with a marriage bed. It faces the south and the city square. 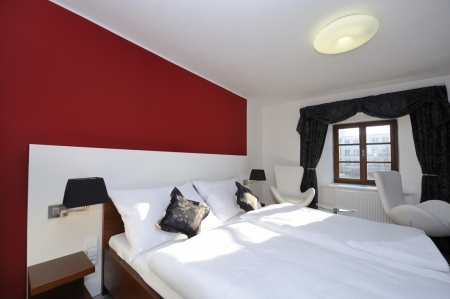 Room 303 is single and faces the north, providing a spectacular view of the Czech Middle Mountains.